Photo by LORETTA JACKSON The producer and some of the cast poised to present Bedford off Broadway’s comical farce, Leading Ladies, written by master playwright Ken Ludwig around 2004, include these members, from left, Aaron Foss, of Salem, producer; Neal Blaiklock, of Merrimack; Laura Kay Hoglund, of Deerfield; Daniel Scheys, of Manchester; Joe Pelonzi, of Hudson; Todd Russell, of Manchester; and Jackie Coffin, a resident of Manchester and the play’s choreographer. BEDFORD – The comical farce that is “Leading Ladies,” a comedy by Ken Ludwig – two-time Olivier Award-winner and creator of 25 plays and musicals – is coming to Bedford Old Town Hall courtesy of Bedford Off Broadway, a local theater company renowned for its twice-yearly presentations of family-style entertainment. Ludwig’s plays, performed worldwide in more than 30 countries and in more than 20 languages, tend to sparkle with intrigue tinged with laughter. The play that will grace the old town hall from March 9-18, with performances on Fridays and Saturdays at 8 p.m., along with Sunday matinees at 2 p.m., is one of the most popular of Ludwig’s 25 plays and musicals, acclaimed works that include six Broadway productions and seven in London’s West End. Bedford Off Broadway producer Aaron Foss, of Salem, is fine-tuning the cast of characters that includes local actors and actresses, all of whom have daytime jobs including that of attorney, tutor and emergency room nurse. An Uber driver is among them. He has the privilege of time flexibility and foregoing calls during rehearsal sessions. Foss is celebrating 20 years in acting and directing. He said that a leg injury in his school days prevented his participation in sports but when a friend suggested he “take a shot” at the school’s theater program, he took the advice. He has excelled and rejoiced in the medium. 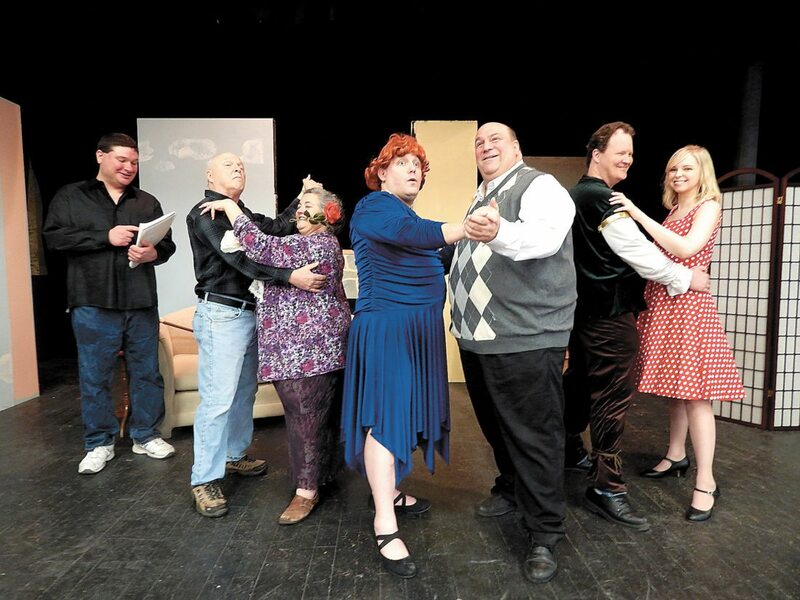 His duty to present the comedy based on two Shakespearean actors who find themselves far from Broadway and presenting Shakespeare plays in hayseed venues in the Amish country of York, Pennsylvania, is undertaken with a zest that fine-tunes every scene. 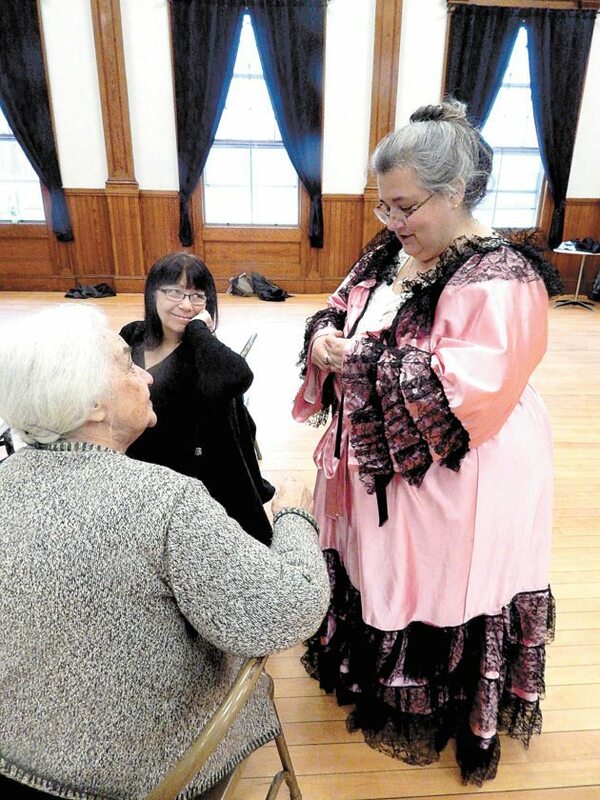 Pat Napolitano, a Manchester resident and the stage manager for Bedford Off Broadway, has supervised the group’s productions for some eight years. Her retirement from medical billing and embrace of theater has proved a creative outlet. She said that the current play, Leading Ladies, offers her an opportunity to blend many tasks into a winning performance. The characters in Ludwig’s play are well known to many theater-goers. Newcomers will find quick recognition comes as the play unfolds. Laura Kay Hoglund, of Deerfield, plays Florence. Neal Blaiklock, of Merrimack, plays Duncan. Sarah Richardson, of Manchester, plays Meg. Joe Pelonzi, of Hudson, plays Doc and Todd Russell, of Manchester, plays Butch. Jackie Coffin, of Manchester, is the play’s choreographer and a resident of Manchester. In addition, kudos go to Daniel Scheys, of Manchester, who plays Jack, and Rich Alcott, of Nashua, who plays Leo, along with impersonations of females trying to finagle some cash from the wealthy old Florence, whose tap-tap-tap of her cane tips them off to her approach in every scene. The subterfuge is hilarious as Scheys and Alcott make an awkward fashion statement as they mince across the stage in sequin-festooned female garb, as well as Shakespearean regalia including golden collars and an ornate headdress. 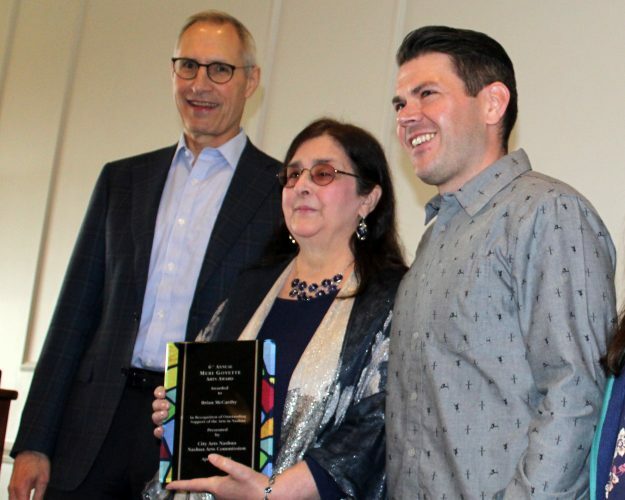 All of the cast credit Bedford’s Mary Selvoski, a nearly lifelong seamstress and designer, for her contributions of dozens of sewn garments for Bedford Off Broadway.